[Mar 2019] Co-founded Caliper. Caliper helps recruiters evaluate practical AI skills. [Feb 2019] My work was featured in this wonderful article by Georgia Tech. [Jan 2019] Awarded the Facebook Graduate Fellowship. [Jan 2019] Awarded the Microsoft Research PhD Fellowship (declined). [Jan 2019] Awarded the NVIDIA Graduate Fellowship (declined). [Jan 2019] Organizing the 2nd Visual Dialog Challenge! [Sep 2018] Presenting results and analysis of the 1st Visual Dialog Challenge at ECCV 2018. [Jul 2018] Presenting a tutorial on Connecting Language and Vision to Actions at ACL 2018. [Jun 2018] Organizing the 1st Visual Dialog Challenge! [Jun 2018] Organizing the VQA Challenge and Visual Dialog Workshop at CVPR 2018. 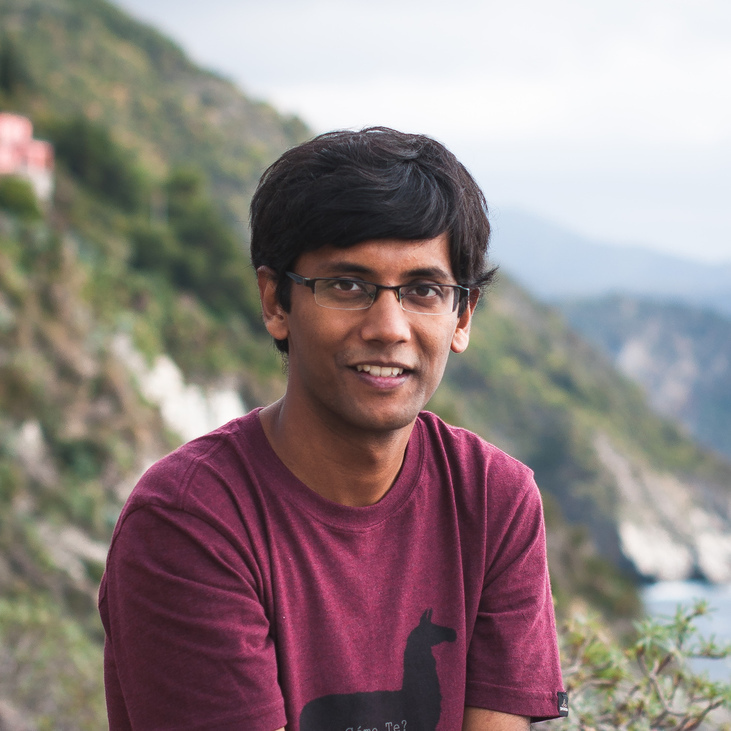 I am a 3rd year Computer Science PhD student at Georgia Tech, advised by Dhruv Batra, and working closely with Devi Parikh. My research focuses on deep learning and its applications in building agents that can see (computer vision), think (reasoning/interpretability), talk (language modeling), and act (reinforcement learning). My research is supported by fellowships from Facebook, Adobe, and Snap. My CV is available here. I’ve spent three wonderful semesters as an intern at Facebook AI Research — Summer 2017 and Spring 2018 at Menlo Park, working with Georgia Gkioxari, Devi Parikh and Dhruv Batra on training embodied agents for navigation and question-answering in simulated environments (see embodiedqa.org), and Summer 2018 at Montréal, working with Mike Rabbat and Joelle Pineau on emergent communication protocols in large-scale multi-agent reinforcement learning. Prior to joining grad school, I worked on neural coding in zebrafish tectum as an intern under Prof. Geoffrey Goodhill and Lilach Avitan at the Goodhill Lab, Queensland Brain Institute. I graduated from Indian Institute of Technology Roorkee in 2015. During my undergrad years, I’ve been selected twice for Google Summer of Code (2013 and 2014), won several hackathons and security contests (Yahoo! HackU!, Microsoft Code.Fun.Do., Deloitte CCTC 2013 and 2014), and been an active member of SDSLabs. On the side, I built neural-vqa, an efficient Torch implementation for visual question answering (and its extension neural-vqa-attention), and maintain aideadlin.es (countdowns to a bunch of CV/NLP/ML/AI conference deadlines), and several other side projects (HackFlowy, graf, etc). I also help maintain Erdős, a competitive math learning platform I created during my undergrad. I often tweet, and post pictures from my travels on Instagram and Tumblr. Blog posts from a previous life. 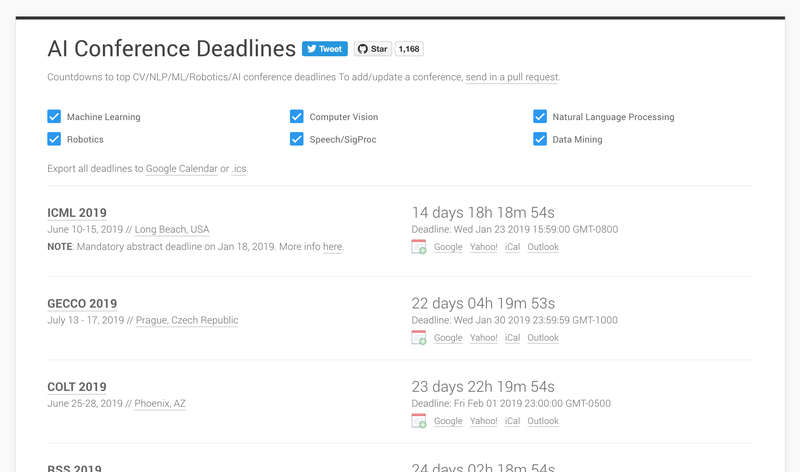 Allen Institute for Artificial Intelligence: "Towards Agents that can See, Talk, and Act"
aideadlin.es is a webpage to keep track of CV/NLP/ML/AI conference deadlines. It's hosted on GitHub, and countdowns are automatically updated via pull requests to the data file in the repo. 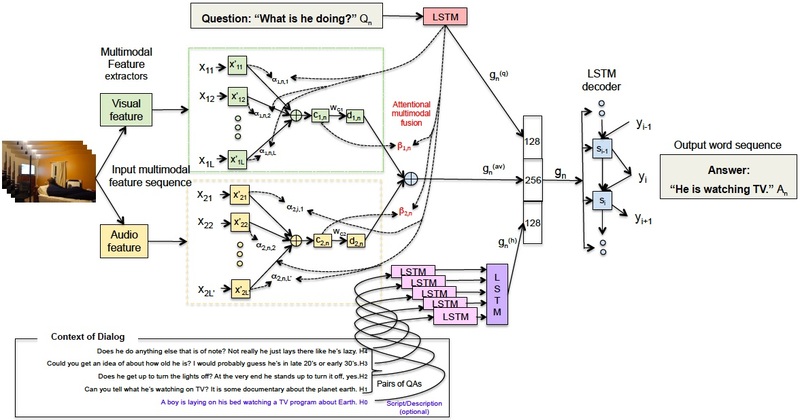 Torch implementation of an attention-based visual question answering model (Yang et al., CVPR16). 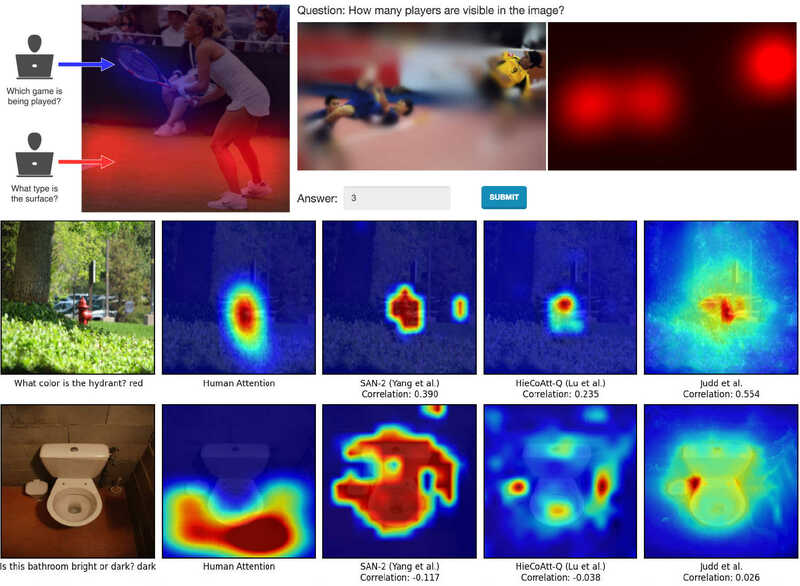 The model looks at an image, reads a question, and comes up with an answer to the question and a heatmap of where it looked in the image to answer it. Some results here. 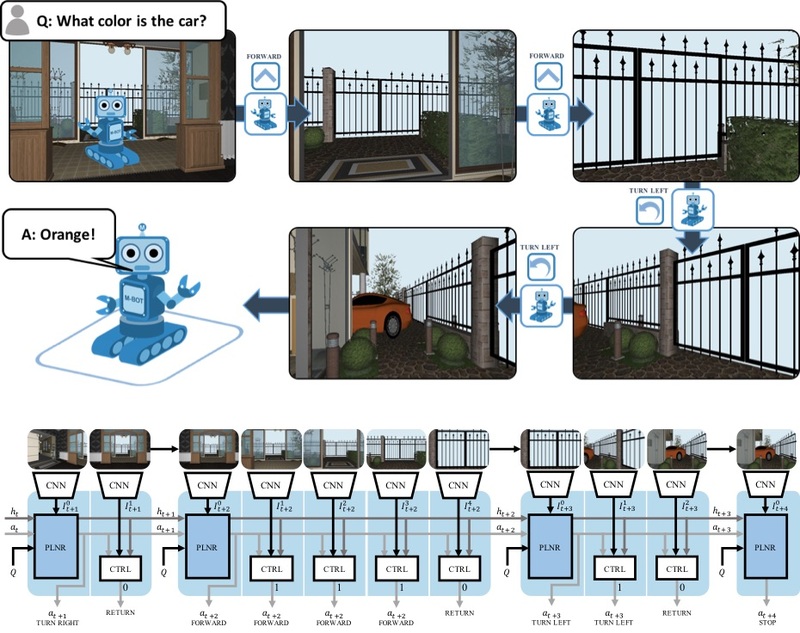 neural-vqa is an efficient, GPU-based Torch implementation of the visual question answering model from the NIPS 2015 paper 'Exploring Models and Data for Image Question Answering' by Ren et al. Erdős by SDSLabs is a competitive math learning platform, similar in spirit to Project Euler, albeit more feature-packed (support for holding competitions, has a social layer) and prettier. graf plots pretty git contribution bar graphs in the terminal. gem install graf to install. 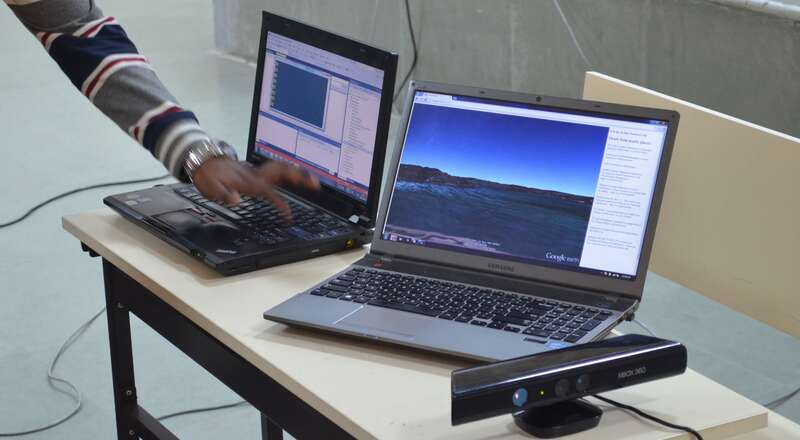 AirMaps was a fun hackathon project that lets users navigate through Google Earth with gestures and speech commands using a Kinect sensor. It was the winning entry in Microsoft Code.Fun.Do. Another fun hackathon-winning project built during Yahoo! HackU! 2012 that involves webRTC-based P2P video chat, and was faster than any other video chat provider (at the time, before Google launched Hangouts). Ugly-looking, but super-effective bash script for downloading entire playlists from 8tracks. (Still works as of 10/2016).